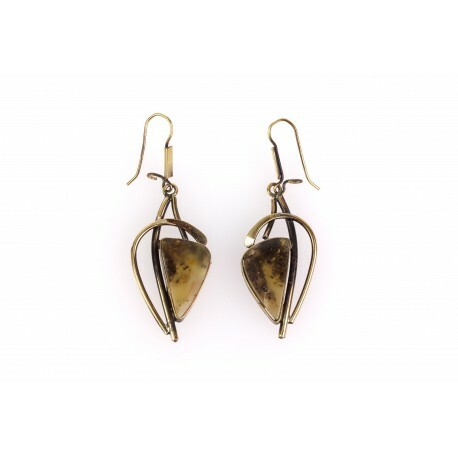 Brass Earrings There are 8 products. A distinctive and original author's hand-made work that enchants the thoughts and soul with a soft amber sleekness. 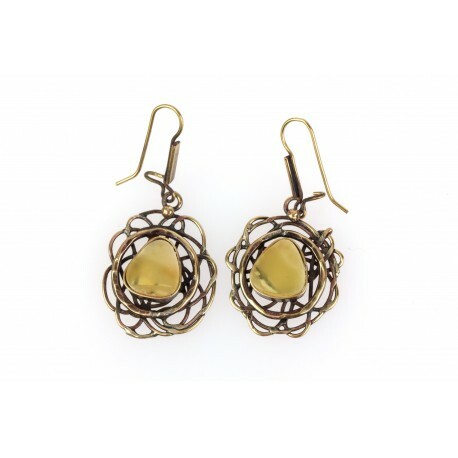 Beautiful handmade brass earrings usually decorated with lemon or yellow colour amber. 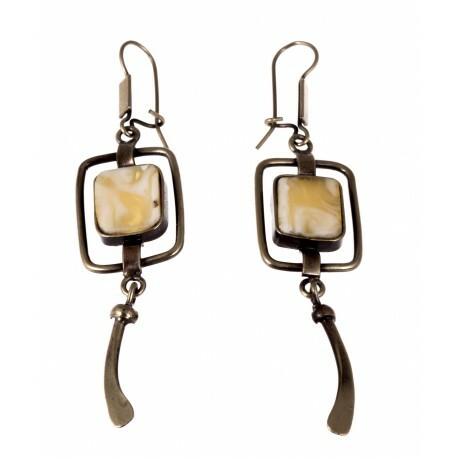 It is a luxurious composition of patterned amber and brass that not only embellish you, but will protect from the bad energy too. 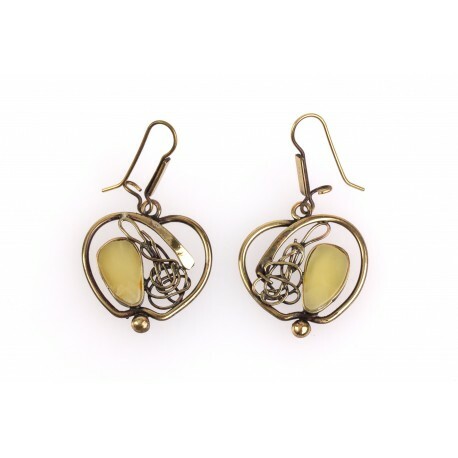 Brass earrings "Light of Happiness"
Handmade brass earrings with lemon colour amber. 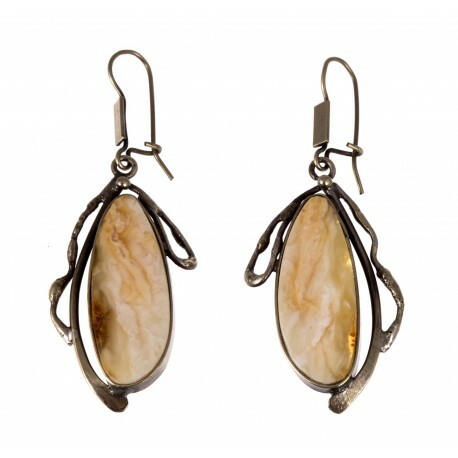 It is a luxurious composition of amber and brass that not only embellish You but will protect from the bad energy too. 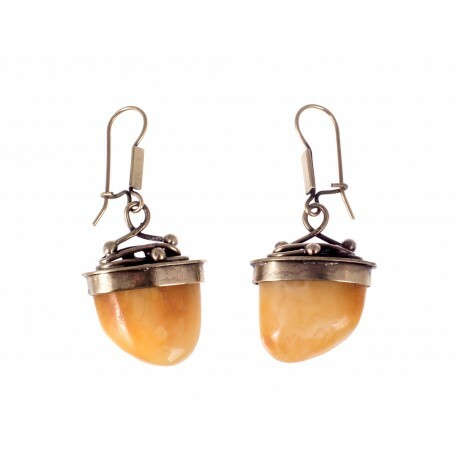 Brass earrings "The Secret of Charm"
A distinctive and unique work that enchants the thoughts and soul with a soft amber sleekness. One-piece and thoroughly completed work will charm You with its originality and subtle elegance. 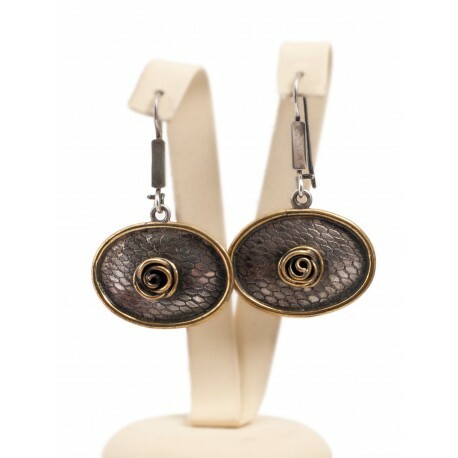 Brass earrings decorated with twisted brass - roses. 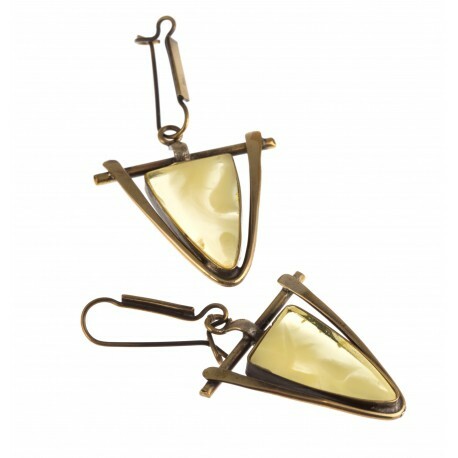 Arched brass earrings, decorated with transparent yellow colored amber.